13 songs, 38 minutes, perfectly chill music for a lazy Sunday afternoon. This is just a simple piano song, no frills. Enjoy! Flutters is 38 minutes of chilled out acoustic guitar. Flutters was recorded by Jason Richards at ClockRight Studios, and Mastered by Eddy Hobizal. The photo on the cover of Flutters was taken at ClockRight studios, and is used with permission. All Songs copyright 2017 Dave Wirth and Published 2017 Fire, Fire, Red Star Down! ASCAP. All Rights Reserved. Please support independent artists who refuse to put their music on streaming sites. A new direction in sound for a musician we’ve heard in the past and reviewed in the pages here at sleepingbagstudios – Dave Wirth, formerly one-half of the duo known as Sprightly Moans is back with an all-instrumental solo-album called Flutters. 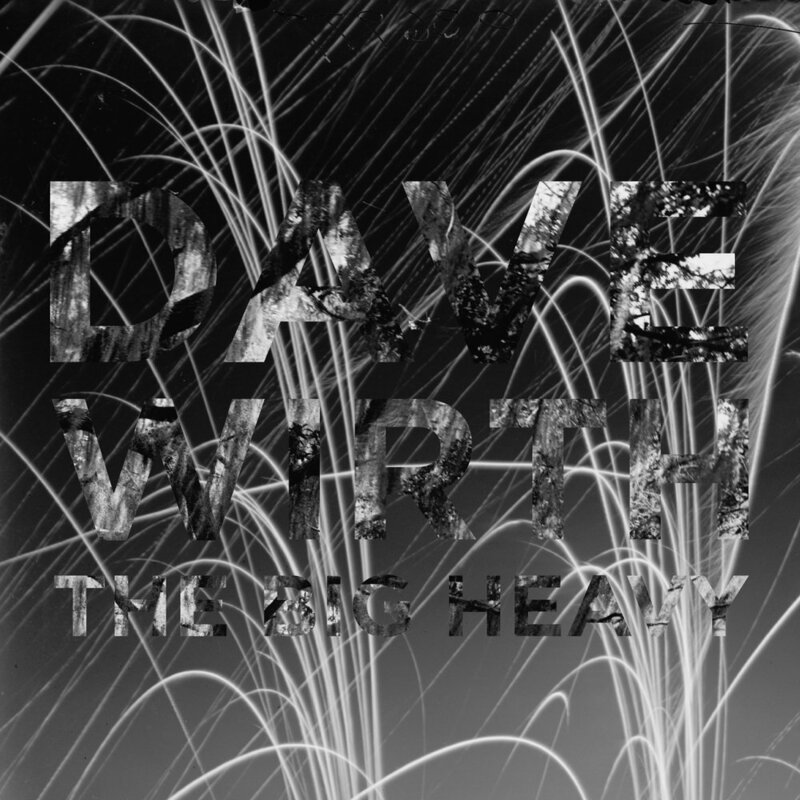 Definitely a departure from the music we’ve heard from him in the aforementioned band from before as Dave breaks from the rock sound towards the acoustic here…but also in many ways…perhaps a logical extension of the depth of emotion and atmosphere that was slowly creeping into the music of Sprightly when last we’d heard them on their Demos III EP in 2014. And that’s certainly okay with me…as many of you readers out there already know, I’m big on melody, sincerity and honesty in the music I listen to – and above all things, I think you get an amazing dose of all three on this new record from Wirth. These largely innocent & untainted ideas come out sounding incredibly natural & humble in their presentation/recordings; while it’s true that some tracks will rely more heavily upon one or two of the aspects I’ve mentioned…bottom line is, if you’re looking for those same kind of qualities and combinations that I respond to personally – you’ll love this too. Emotions run deep throughout the record and make themselves known immediately as the lead-single “Song For Hawley” begins to spread its melancholy mix of hopeful sounds. Right off the bat, Wirth lets the magic of sincerity invade the atmosphere; the guitars we hear are humble and earnest in their approach and the progression from the verse to chorus is indeed a beautiful one. The impact of this first tune makes a measurable mark in sincerity as it plays…gorgeous final shifts in the chords at the end…almost like improv in the way it’s played there, but even if that’s the case – he found the perfect way to end this first tune and lead it right into the sweetened beginnings of “Graffiti Peace,” the album’s longest cut. “Graffiti Peace” also has that mix of melancholy emotion in the writing/sound mixed with smart progressions that provide uplifting tones and hopeful vibes in the music we hear. Pensive, careful & cautious throughout its gentle movements…”Graffiti Peace” sounds like it made Wirth pause and consider life along the way in the recording and that translates to us as listeners. There are natural pauses and slight hang-ups in some chords that could have gone against him, were it not for the way that this track flows in such an acceptably honest sound. In a way, these moments actually end up giving strength to what we hear on “Graffiti Peace,” because it’s REAL. We’re talking seriously slight anyhow…those moments where the chords hang for a millisecond longer in the air…and I’m telling ya…as a listener, they brilliantly communicate the emotion that’s truly being put into the mood and character of the overall idea. Whether it’s intentional or not, I couldn’t tell you 100% for sure…but if you’ve ever heard a musician say ‘sometimes songs just write themselves’- there’s truth in that. Sometimes you start a journey in recording with an idea of how it goes from playing & practicing it a million times…and then you get to the studio and the final version becomes something entirely different altogether from the magic in that moment of time. I loved the way some of these notes would ring & ring and stay involved in the atmosphere & mix. I felt like “Graffiti Peace” has a lot of that…I bet you could hear Dave play this in numerous different ways and those chords he’s selected would always guide him to the stunning, emotional sound he’s found here on this tune; the kind of song that might not be ‘perfect’ in some ways…for others, it is entirely. The emotion, melody, rhythm and sincerity of “Penumbra Nadir” is stunning to listen to. Wirth plays Zeppelin-esque chords contained smartly within a folk-style rhythm and makes really clever moves in throughout the song’s structure and transitions. Absolutely powerful stuff if you ask me…the song has a ton of movement & ideas to cover throughout its four-plus minutes, but the execution is there completely and the thickness of the emotion is truly audible. As beautiful as it can be haunting – “Penumbra Nadir” was a completely memorable experience for me; I think Dave did a tremendous job of mixing up the sounds we hear from the light to the dark and that the balance of emotion in the music, writing & performance was noteworthy. Right before/entering the two-minute mark…have a listen…that’s the sound of REAL emotion, passion & their relationship to melody on display right there. Because let me tell you…I’d personally LOVE to read what other people might think about “Paratrooping Dream” and whether or not they dig it. Don’t get me wrong – personally, I freakin’ LOVE this tune myself – but I can totally get how this track might be forgotten or missed by the people out there. I haven’t added it up in exact minutes or seconds…but I bet there’s potentially just as much complete silence within the framework of “Paratrooping Dream” as there is actual sound…and straight-up, that’s gonna work better for some than others out there when it comes to listening. For those about to rock…you’re in the wrong place; this song is completely about artistic expression and real emotion in music that makes an impact through its use of space/sound combined. Personally I think it’s bold, it’s a brilliant inclusion on the record, and its combination of ambient-hypnosis is something I could listen to at all times on any given day. It’s really not all that often that you hear an artist/band take a timeout like this to really examine how effective space can be in music and I thought “Paratrooping Dream” as a result of its minimalism was one of the tracks that really made a maximum impact on Flutters. Easing us back into music with more music in it, “Delicate Red” is another huge highlight on this album with perhaps one of its most accessible and inviting melodies that we’ve heard so far. As much as I’m a big fan of the smart chord-choices that Dave makes to bring interesting tones, textures and atmospheres to our ears…I’ve also gotta really hand it to him for the clarity in the recordings capturing the genuine passion & emotion he plays with as well as it does. “Delicate Red” is one of the best examples of Wirth’s music at its most stunning & beautiful as it weaves through its dreamlike structure; I couldn’t get enough of this melodic-gem in the middle of what’s become a truly strong mid-section of Flutters as it continues on. I cracked a genuine smile when listening to “Aulternative” – because…well…because it’s freakin’ brilliant that’s why. Dave has kept this record plenty chilled-out from the moment it started…and that’s not about to change here…but the addition of what are noticeably ‘grunge’ chords ripped right out of the unplugged-alternative era are something you can definitely hear. Hence, the brilliant title to reflect that…or at least that’s the theory I’m going with. This combination of folk/alternative is a highly effective idea and cleverly crafted, orchestrated & assembled by Dave to get the most out of each moment. That alt-sound is definitely there…might be masked by the ol’ folk-magic brightening it up times…but to me, there’s no mistaking sounds like these. Some of those golden chords could have come right off of brilliant acoustic-based records from Alice In Chains like their Unplugged record or even their first EP, Sap. “Aulternative” is a smart track all the way through and captures some of the essence of that lethargic/uplifting mix of the energy and attitude of the music of the alternative era that made it so full of bold contrast and massively interesting to listen to. Wirth keeps this tune solidly entertaining through both aspects of the song’s two dominating personalities & mood-swings. “Uma Shock” was a bit ‘take it or leave it’ for me; certainly makes sense to include it on this instrumental record of Wirth’s…short enough that in a sense, once it’s written easier to include certainly than to discard. I’ve got no real issues with “Uma Shock” – it’s a short & sweet track that definitely isn’t offensive to the ears by any standard…I suppose if anything, just felt more like the beginning of an idea to come rather than a complete one on its own. Much the same could potentially be said of “Parchment Ruse” to follow, which is even more sparse by comparison and similar to an idea like “Paratrooping Dream” for its use of space. Good to serve as quick interludes on the record…I felt like “Parchment Ruse” displays some fantastic choices for the chords played but also felt the approach itself might have been best limited to the earlier attempt with “Paratrooping Dream” for one spot on the album in total. Personally, I still like them both…just not sure the album needs two widely-spread ideas in the one listening experience. Even with “A Take On Lonesome Dove” bringing a bit more structure back to the atmosphere, it still felt as if Flutters was still searching & wandering towards its next imaginative idea. “A Take On Lonesome Dove” has a delicate gentleness to it – and much like many of these songs, the crisp, clean & clear way that it’s been recorded really does draw you in to listen closely…but overall, following “Uma Shock” and “Parchment Ruse” it does feel like the focus has meandered a bit towards the end of Flutters. Of course…it’s important to recognize a lot of the intentions behind the writing of these songs and this album is one of ambient-style ambition…and even in the moments where you might zone-out for a second into the world around you, this isn’t music you’d ever turn off so much as leave running in the background like the natural soundtrack that coincides with your own life. The album, like many in the ambient genre, will also snap you back into it when you hear a sound that particularly resonates with you…just like “All, One Honduras” did with me towards the end of the record. A stunning and gorgeous return to melody that has real focus and heart – I thought the exquisite texture to the sound of “All, One Honduras” made for one of the most endearing and sweet songs on Flutters. Really well played & performed…there is absolutely amazing & beautiful tones throughout this song, gentle yet captivating, all at the same time. Ending in the pensive and thoughtful tones & movements from which it all began, the title-track “Flutters” ends the experience conclusively. Another tender melody and smartly played tune…I like the natural quiet/loud that Dave has included in this song and in many of the performances along the way. The fading at the end of “Flutters” sounds like it was done by hand rather than in the booth…but even before that, scattered throughout this song and others you can hear him adapt to the emotion and energy of the writing by striking the notes or chords with the appropriate power to echo the intentions. I’ll say this in conclusion…I think Flutters is a fantastic album to help heal the soul and soothe the mind. It’s hard to get ‘excited’ about anything remotely ambient…the very nature of the genre is so entirely laid-back and chilled out that any over-the-top enthusiasm would seem out of place…but I can certainly vouch for the fact that I’ve enjoyed every song on this record in one way, shape or form. I think a lot of the tones, textures and emotions that run deep throughout this album are the kind that people truly respond to…like feelings we can all relate to. Dave’s played this record with a lot of admirable heart – and I think above all, that’s really what you’ll hear on Flutters more than anything else. We almost every time listen music with full of reverb and effects, the originality may sometimes missed. But this time something awesome has been happened. We are introducing Dave Wirth, a talented musician from Santa Fe, New Mexico. Dave recorded 13 songs, 37 minutes with super chill acoustic guitar and without reverb or effects. All music was recorded in true punk rock style. All music was recorded in a single day at studio. Surprisingly it ended up being super relaxed and was far more interesting than originally planned. Flutters is an extremely relaxed acoustic guitar record, best for listening on the first leg of a road trip, or on a Saturday afternoon when your brain is fried and you need music that is neither too challenging or boring. Flutters will be released on February 14th, and will be half off for one day only. Flutters, including Song For Hawley, was recorded by Jason Richards at ClockRight studios: http://clockrightstudio.com/, and mastered by Eddy Hobizal: www.eddyhobizal.com/. Wow, this is some OLD music.